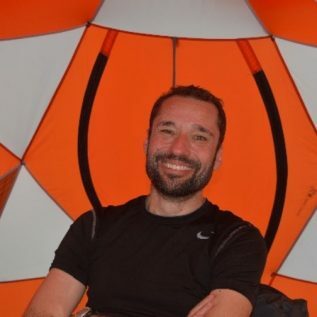 Alex Anesio is a Professor of Biogeochemistry at the University of Bristol, and co-investigator in the Diatom-ARCTIC project. His research combines molecular and biogeochemical approaches to determine microbial functionality and activity in the cryosphere. His previous research demonstrated that microbial activity at the surface of glaciers and ice sheets are responsible for significant carbon and nitrogen fixation with implications for biogeochemical cycles at local and global scales. He is one of the advocates that glaciers and ice sheets are one of the biomes of Earth. In the Diatom-ARCTIC, a major focus of his research is determining the response of sea ice algae to changes in light, nutrient and salinity conditions associated with the thinning of sea ice. Diatom-ARCTIC is co-funded by the German Federal Ministry of Education and Research and by NERC.